That could be…the difference between getting frustrated and having an easier time. …the difference between burning your home down or NOT!!! If you’ve watched my other tutorials you know I LOVE PEX. 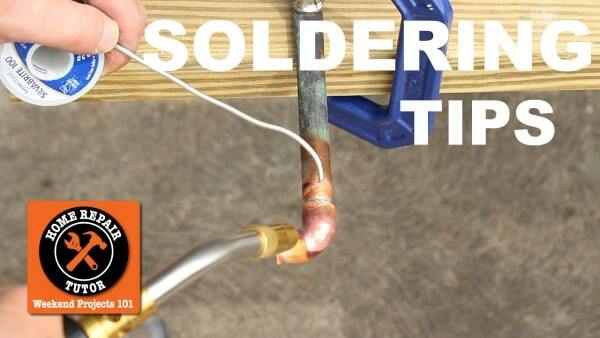 But sometimes you’ll have to solder in fittings. So today’s quick soldering tips will hopefully help make this process smarter and better. 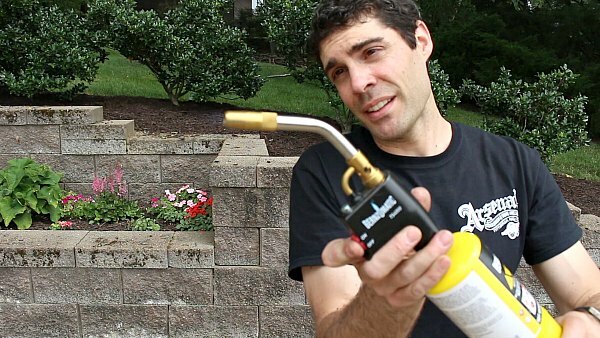 MAPP gas burns hotter than propane. That’s good if you want to heat up copper pipes. Bad if you’re trying to not burn down your house. That said, if you want to spend less time heating up the pipes and exposing the surroundings to a flame, MAPP is the way to go. Btw, it’s called MAPP but MAP-Pro is on the canister below. Bernzomatic makes a great trigger starter for MAP-Pro canisters. I’d recommend getting one of these because it makes soldering safer. The flame is easily controlled by simply pressing or depressing the starter button. 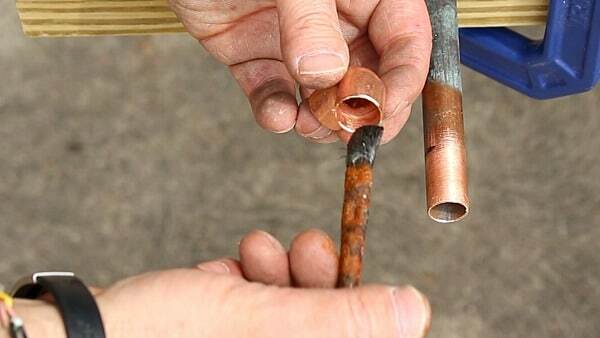 How should you prep copper pipe BEFORE soldering? 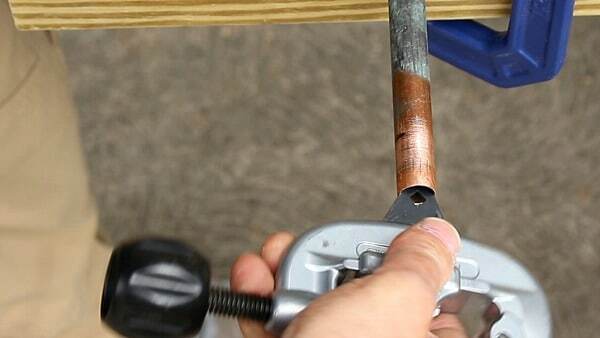 Cutting copper pipe is easy. The nice thing about the Ridgid No. 15 is it has a deburring tool. 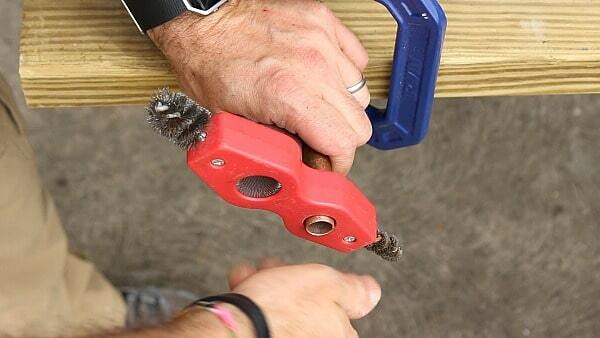 This removes burs inside the pipe after cutting it. 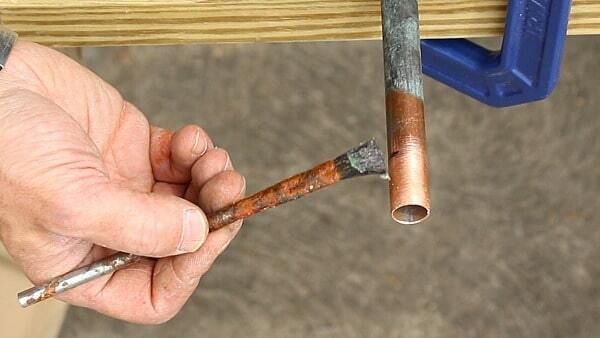 Use either a wire brush or emery cloth to clean the inside and outside of the pipe. This is emery cloth..super cheap and awesome. 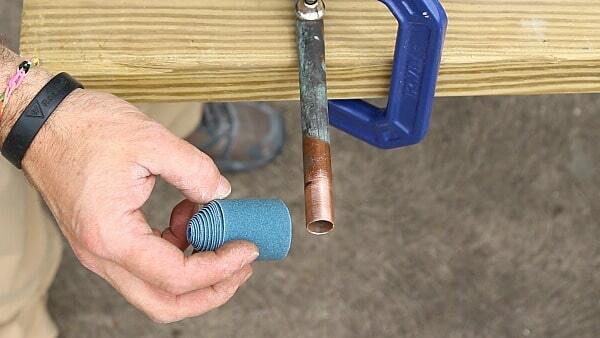 Apply a thin layer of flux to the outside of the pipe. And inside of the fitting. You don’t need a ton of flux, just enough to cover the surface of the pipe and fitting. Inspect the pipe and fitting to make sure none of the brush hairs are on them. A single brush hair can ruin your soldering job…darn hairs!!! How do you approach the actual soldering? Soldering isn’t hard…after you practice. My biggest recommendation is to practice somewhere safe before trying to solder inside a wall or ceiling. Buy 10 fittings and some copper pipe. Setup a little practice station outside and have at it. 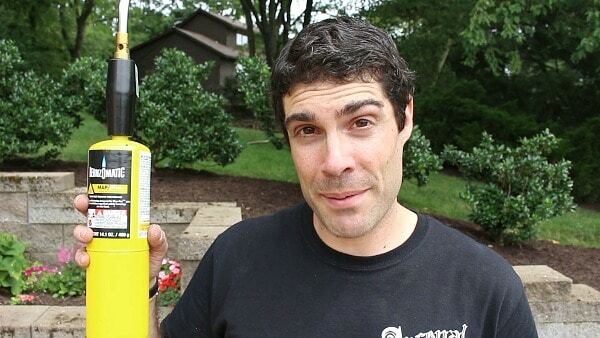 That way, you’ll get familiar with your torch and won’t risk burning down the house on the first try. I like to heat up the pipe for a few seconds then apply heat behind the fitting. That way, the solder will be drawn into the fitting/pipe connection. 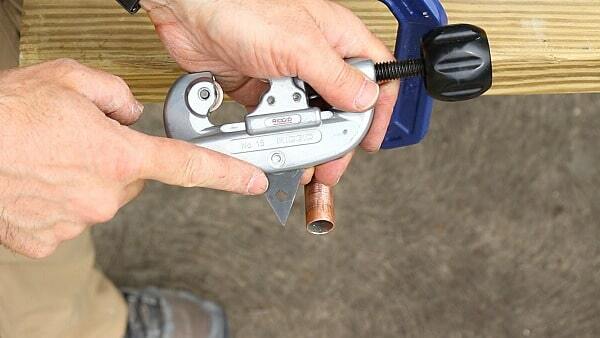 If you’re interested in PEX pipe we have a great tutorial that shares a ton of tips.